John Albert Legarza, age 86, passed away peacefully at his home in Reno, on Sunday, April 7, 2019. He was born on February 6, 1933 in Winnemucca, Nevada to Mateo and Virginia (Echave) Legarza. John attended a one-room schoolhouse in McDermitt during his elementary years and later graduated from Albert Lowry High School where he formed lasting friendships and discovered his lifetime love of basketball. John spent several summers in his youth working as a cowboy for his Uncles John and Martin Echave on the Oregon Canyon Ranch. His time on the ranch helped forge many of his defining qualities - strength, tenacity, a strong work ethic, and grit. John attended the University of Utah for a year on an athletic scholarship and then joined the army where he earned a spot in the Special Forces. After two years of service, he moved to Reno to play basketball at the University of Nevada. There he excelled under the leadership of the late great Jake Lawlor, winning four Far Western Conference Championships and earning team captain and conference player of the year honors. John earned a bachelor's degree in History and a Master's degree in Education. He remained loyal to the Wolf Pack throughout his lifetime. In 1958, John began a thirty-six year teaching and coaching career. At both Elko High School and Wooster High School he instructed students in History and PE. At UNR he taught in the Athletic Department. 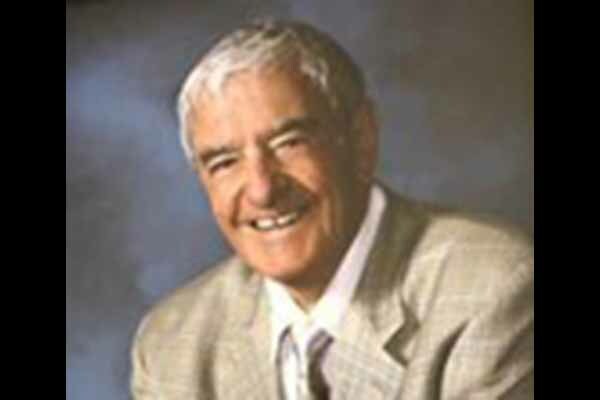 John coached many memorable teams and athletes in basketball, football, track and golf. Whether coaching at the high school or college level, his philosophy was the same - a coach's job is to find the spark in an athlete and to develop upon that potential. In addition to a successful career coaching basketball at the high school and college levels he also coordinated the women's athletic programs at Nevada as an Assistant Athletic Director. John then became UNR's head golf coach with his golf teams winning five conference championships and qualifying twice for the NCAA championship tournament reaching a national ranking of 11. His player and coaching career earned him many accolades including NCAA Regional Coach of the Year, the Jake Lawlor Award, and induction into the UNR Hall of Fame both as an athlete and as a coach. In his retirement years, the proud Basque could be found fishing at the Oregon Canyon Ranch in McDermitt, golfing, reading a favorite novel, proudly watching his grandchildren's sporting events, cheering on his beloved Wolf Pack, or beating any unsuspecting soul at a game of hearts. He is survived by his wife of 33 years, Gretchen; children, Kim (Scott) Nader, Mike (Kim) Legarza, Sherry (Lowell) Black, and Matt (Georgina) Legarza. Step-children, Mills (Christina) Landon, and Megan (Mike) Pagni; grandchildren, Vincent, Alex, and Isabella Legarza, Callie and Molly Black, Jacquelyn Nader, Lucas and Sophia Landon, and Kate Pagni. Funeral services will be held on Friday, May 3, 2019 at 10:00 a.m. at Our Lady of the Snows, 1125 Lander Street, Reno. Reception to Follow.